Trial practice. Not just talk. 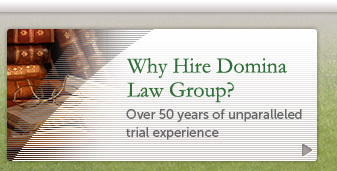 Domina Law Group is different, and we are confident in our ability to achieve outstanding results for our clients. It is not enough for us to know we can get the job done. We want you to have full confidence in this as well. The final outcome of your case will likely have a tremendous impact on your business and your future. Put your future in the hands of a firm with proven quality and effectiveness. We care about the law enough to uphold by being relentless with cases we truly believe in. This goes beyond winning cases for the benefit of one person to refusing to close up a case until we are confident that we have influenced someone who will in turn influence someone else. By doing so, we make a difference. 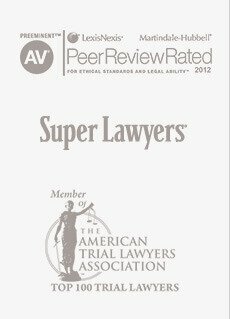 This is what drives our trial practice. 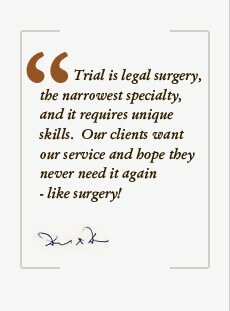 Our attorneys take a different approach than many law firms. When we represent a client, we are relentless in our pursuit of successful results for clients. Our dedication to clients means we make ourselves available at times when clients need us the most. 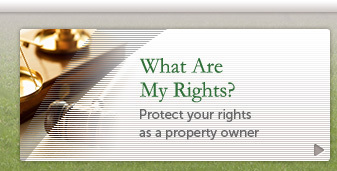 As your legal representation, we make it our duty to safeguard your personal interests. 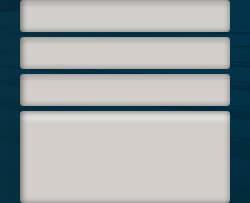 Every case is unique, and every client we represent is different. Before we take action on a case, we take the time to get to know you, understand your priorities and expectations and answer all your questions about the situation. We delve deeply into each case, and pour over the details to develop completely custom legal solutions for every client. 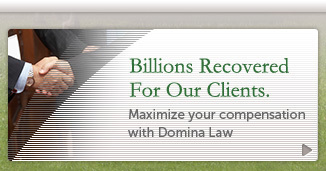 What Domina Law Group does is a lifestyle, not just an occupation. By working with our firm, you can be confident that we put our time and attention on your case around the clock. This is not burdensome, but exciting for us because with each case we have the opportunity to truly affect change in the lives of others. Don't wait another moment to contact our firm for an initial consultation to discuss your case and learn more about how we can help you. David A. Domina, our lead trial lawyer, has worked on hundreds of jury trials. This includes multi-million dollar jury verdicts and even a case victory valued at more than $1.26 billion on behalf of cattlemen. For proven legal representation, call us today.